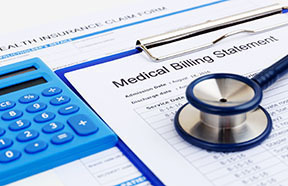 Health insurance protects you from financial ruin should you have a serious health issue and makes it more likely you'll seek treatment when you're ill.
Each time you see a doctor or buy a prescription, you're asked for a fixed sum payment. That's your copay. Check your insurance card — the amount you have to pay should be listed on the card. There's also a deductible for family coverage. Once one or more of your family members meet the family deductible, then an insurance company will start paying the expenses for all family members, even if one or more family members haven’t met the individual deductible. Insurance language can be hard to decipher sometimes. If you have questions about insurance terminology, don’t hesitate to ask us.